Hide payment and shipping methods from specific user groups and administrators. Make payment methods unavailable for vendors. The Hide payment and shipping methods for user groups add-on provides additional settings to control what payment and shipping options your users get access to. It enables to hide desired payment and shipping methods from certain user groups. The add-on solves the following problem. Let’s say you accept credit card payments, except from your wholesale customers. You want them to pay via the purchase order only. The default settings are not flexible enough in this case. Your wholesale customers can still see the credit card payment option at the checkout. Whereas, our add-on allows you to hide the credit card payment method from this specific user group. The add-on also allows to hide payment and shipping methods from administrators. For example, you have 2 administrators: John and Sam. John is the main administrator, so he can see all the shippings and payments. He can forbid Sam to use some shippings, e.g. FedEx. If FedEx is forbidden for Sam, he cannot see it in the administration area. Restrict access to payment and shipping methods for specific user groups. 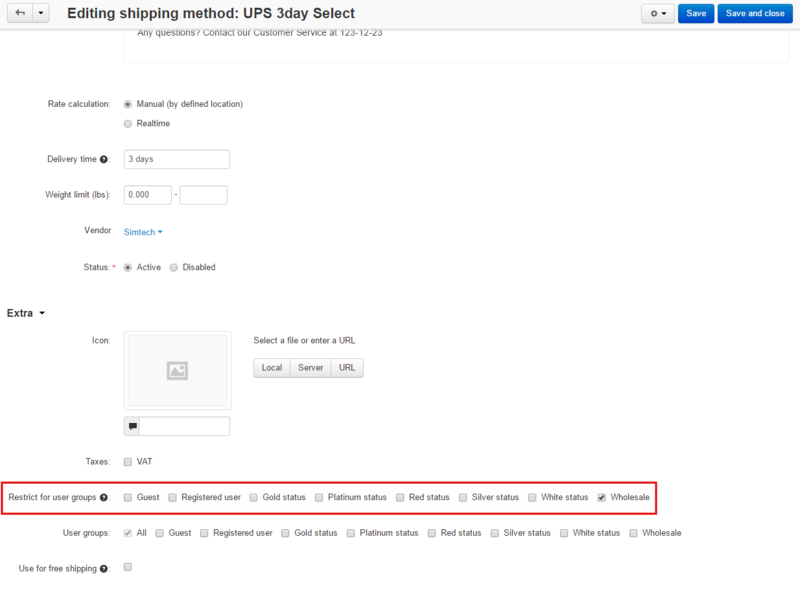 Override default user group settings for payment and shipping methods. Restrict access to payment and shipping methods for certain admins. Forbid payment methods on a per-vendor basis. 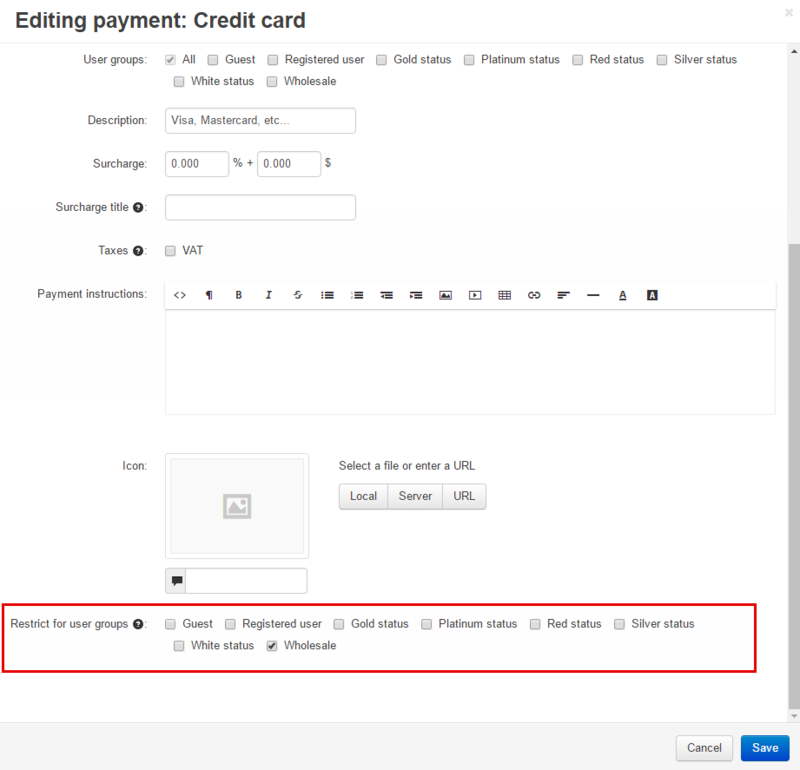 [+] A Payment methods tab was created for the Vendor editing page in the admin panel. [+] The super administrator was given the ability to hide shipping and payment methods from other administrators.